Are you ready to paint the streets of Bonham PINK all over again? We expect more than 600 participants in this year at our annual Susan Hicks Memorial Event with 5K, 10K, & Fun Run routes available. 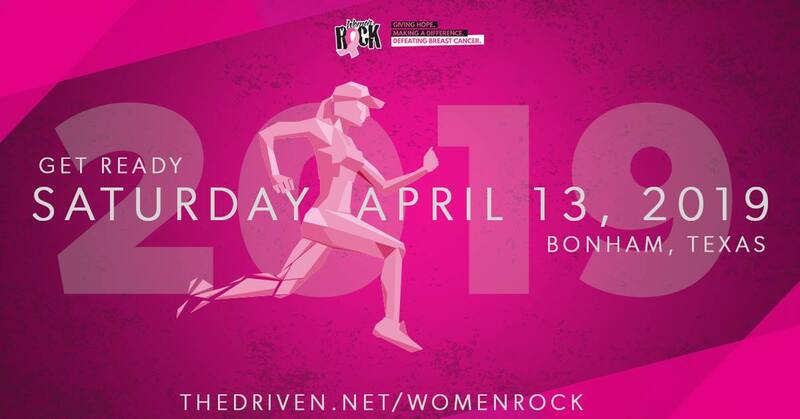 Proceeds benefit Women Rock's mission to save and change lives by increasing awareness and the early detection of breast cancer and by providing hope and support to those we serve. Sponsor and vendor opportunities available.